After the Turkish Army shoots down a Syrian fighter jet that strayed across its border, Turks worry both that the incident represents an escalation in fighting between the two, and that Prime Minister Erdogan will increase his war rhetoric the week before local elections. On Sunday, the Turkish army shot down a Syrian government fighter jet that it said had strayed across the border despite numerous warnings. “Our F-16s went up in the air and shot that plane down. Why? Because if you violate my air space, then from now on, our slap will be hard,” Erdogan said later, at a campaign rally held in advance of next week’s local elections. Syrian state media said its planes had been pursuing rebel targets near the border. Though analysts have called it an escalation, it’s not the first time Turkey’s military has been drawn into the conflict next door. Syria shot down a Turkish plane in 2012, and that autumn, Turkey opened fire on Syrian government positions after a Turkish border town was shelled, killing five civilians. We asked Didem Aykel Collinsworth, Turkey analyst at the International Crisis Group, and Soli Özel, a political scientist and professor at Istanbul’s Bilgi University, to weigh in on the impact of this week’s events. These are isolated incidents and don’t yet represent a tipping point..
Didem Aykel Collinsworth: Specific to the escalation between Turkey and the Syrian government, these are isolated incidents and don’t yet represent a tipping point where we’re switching into a sustained direct confrontation between Turkey and Syria. Both sides still want to avoid an all-out war. But it’s still an escalation and a reminder of the spillover from Syria. Seventy-nine Turks have died in spillover clashes or car bombs or from stray shells, so it’s a deadly conflict for Turkey, and we get these reminders of it from time to time. It’s not an indication that the military engagement is going to get deeper. 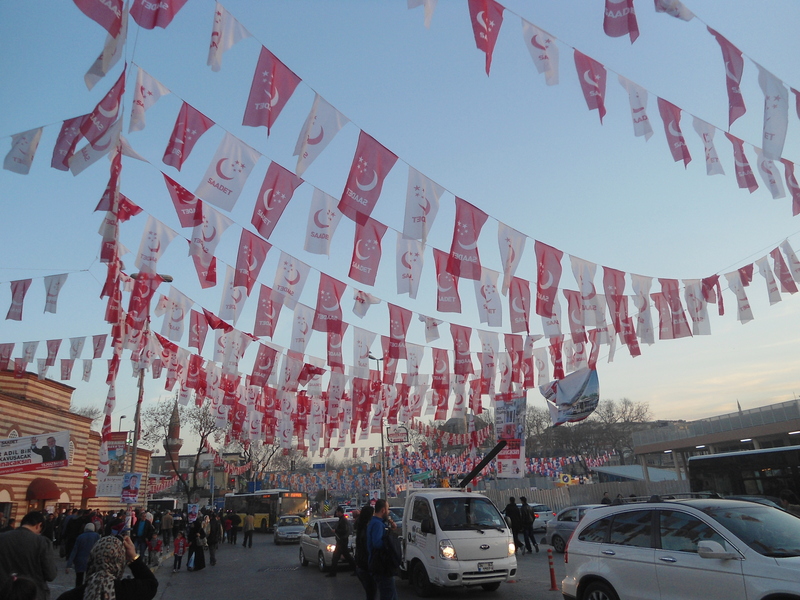 SD: What can we make of Erdogan’s rhetoric in the lead-up to local elections? Collinsworth: Domestically, military intervention in Syria is very unpopular. Only slightly more than five percent support it. That said, we see that the Turkish government, and particularly the prime minister [Erdogan] are using this for domestic consumption. Turkey had toned down this war rhetoric over the past year, but now with this incident we have seen a re-escalation of the rhetoric, and this is mostly for domestic [benefit], particularly as we approach elections. This is dangerous and could be misinterpreted domestically. It needs to be toned back down and shouldn’t be seen as an increase in aggression by the international community, because that could hurt Turkey’s position in the region and the role it plays in the conflict. Domestically, military intervention in Syria is very unpopular. There is definitely a concern among the Turkish people that this could be used as a diversion away from domestic troubles and scandals and so on. At the same time there’s very little Turkish appetite for involvement in Syria. SD: What happens next between the two countries? Collinsworth: This kind of back and forth, we’ve seen it. Every time a stray shell lands across its border, Turkey does fire into Syrian territory. So this is not completely unusual, but at times like this there is increased tension. Özel: At the time the jet was shot down, the Syrians were likely bombing the Islamic State of Iraq and the Levant, and I don’t know whether [Turkey’s actions] have really stopped that operation. Turkey must have let NATO know what it did because it’s a NATO member and [an action like this] does concern its allies. I don’t think it will go any further, but the thing to watch will be what Turkey will do. At the time the jet was shot down, the Syrians were likely bombing the Islamic State of Iraq and the Levant. [Earlier this year] ISIS gave an ultimatum to Turkey and said, We’ll attack your troops at Suleiman Shah. [Turkey still has a small number of troops stationed at the tomb of Suleiman Shah, 20 miles from the Turkish border in Syria, and ISIS has recently captured towns near the tomb.] On one hand, the tomb is Turkish territory, and to reach it [and evacuate those troops], Turkish jets will have to fly inside Syria, so they’d have to get permission from the government in Damascus. But if the threat does materialize, Turkey will have to figure out how to do something about that.